Includes the names: Charles Simic, Charles Simic, EDITOR CHARLES SIMIC, ed. Charles Simic, trans. We're thrilled to host celebrated poet Charles Simic, reading from both a new volume of poems and an essay collection, on Thursday, April 23rd at 7pm. From Pulitzer Prize winner and former Poet Laureate Charles Simic comes a dazzling collection of poems as original, meditative, and humorous as the legendary poet himself. The Lunatic, the latest volume of poetry from Charles Simic, one of America's most celebrated poets, demonstrates his revered signature style--a mix of understated brilliance, wry melancholy, and sardonic wit. These seventy luminous poems range in subject from mortality to personal ads, from the simple wonders of nature to his childhood in war-torn Yugoslavia. For over fifty years, Simic has delighted readers with his innovative form, quiet humor, and his rare ability to limn our interior life and concisely capture the depth of human emotion. These stunning, succinct poems--most no longer than a page, some no longer than a paragraph--validate and reinforce Simic's importance and relevance in modern poetry. In addition to being one of America's most famous and commended poets, Charles Simic is a prolific and talented essayist. The Life of Images brings together his best prose work written over twenty-five years. A blend of the straightforward, the wry, and the hopeful, the essays in The Life of Images explore subjects ranging from literary criticism to philosophy, photography to Simic's childhood in a war-torn country. Culled from five collections, each work demonstrates the qualities that make Simic's poetry so brilliant yet accessible. Whether he is revealing the influence of literature on his childhood development, pondering the relationship between food and comfort, or elegizing the pull to return to a homeland that no longer exists, the legendary poet shares his distinctive take on the world and offers an intimate look into his remarkable mind. 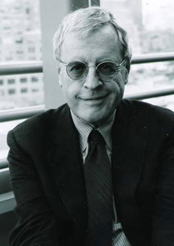 Charles Simic, poet, essayist, and translator, was born in Yugoslavia in 1938 and immigrated to the United States in 1954. Since 1967, he has published twenty books of his own poetry, including his most recent collection, New and Selected Poems: 1962-2012, in addition to a memoir and numerous books of translations for which he has received many literary awards, including the Pulitzer Prize, the Zbigniew Herbert International Literary Award, the Griffin Prize, the MacArthur Fellowship, and the Wallace Stevens Award. Simic is a frequent contributor to the New York Review of Books and in 2007 was chosen as poet laureate of the United States. He is emeritus professor of the University of New Hampshire, where he has taught since 1973, and is distinguished visiting writer at New York University. This giant of the poetry world rejoins us at Gibson's to share two of his new works! The Lunatic: Poems, a dazzling collection of poems as original, meditative, and humorous as the legendary poet himself. This latest volume of poetry demonstrates his revered signature style--a mix of understated brilliance, wry melancholy, and sardonic wit. These seventy luminous poems range in subject from mortality to personal ads, from the simple wonders of nature to his childhood in war-torn Yugoslavia. For over fifty years, Simic has delighted readers with his innovative form, quiet humor, and his rare ability to limn our interior life and concisely capture the depth of human emotion. These stunning, succinct poems--most no longer than a page, some no longer than a paragraph--validate and reinforce Simic's importance and relevance in modern poetry. The Life of Images: Selected Prose. A collection of new and selected essays by the Pulitzer Prize-winner and former Poet Laureate. In addition to being one of America's most famous and commended poets, Charles Simic is a prolific and talented essayist. The Life of Images brings together his best prose work written over twenty-five years. A blend of the straightforward, the wry, and the hopeful, the essays in The Life of Images explore subjects ranging from literary criticism to philosophy, photography to Simic's childhood in a war-torn country. Culled from five collections, each work demonstrates the qualities that make Simic's poetry so brilliant yet accessible. Poet Charles Simic, "New and Selected Poems: 1962-2012". We're pleased to welcome former Poet Laureate Charles Simic as he presents his new volume of verse, New and Selected Poems: 1962-2012. Charles Simic signs Any Book. Charles Simic , The Monster Loves His Labyrinth. Charles Simic's Books for Sale at this Author Event. Charles Simic reads from That Little Something. A profoundly important poet of our time, Charles Simic is a Pulitzer Prize-winner, the recipient of a MacArthur “Genius” Grant, and the 15th Poet Laureate of the United States. The Library of Congress calls his work, “a rich body of highly organized poetry with shades of darkness and flashes of ironic humor,” and it is often praised for its accessibility, ease and surprising imagery. Simic will read from his collections and his recently-released 18th book of poems, That Little Something. Charles Simic's book The Art of Losing was available from LibraryThing Early Reviewers. Charles Simic is currently considered a "single author." If one or more works are by a distinct, homonymous authors, go ahead and split the author. Charles Simic is composed of 5 names. You can examine and separate out names.